Revision nasal surgery is performed for a number of reasons, with the most common being to improve a patient’s ability to breath, enhancing the appearance of the nose, and to improve both appearance and nasal function simultaneously. Revision nasal surgeries are often suggested to correct an underlying problem for a nose health condition. Conditions such as chronic sinusitis, an obstruction in the nasal passage, or deviated nasal septum can cause great difficulty in breathing. It is very important to consult a medical professional that can identify the cause of any health conditions since underlying medical issues, like allergies, may prevent surgeries from correcting the issue. Surgeries can include balloon sinuplasty, septoplasty, turbinate reduction, and more. There are also minimally invasive options available, like the balloon sinuplasty procedure. A rhinoplasty is a cosmetic plastic surgery to correct and reconstructing the form, restoring the functions, and aesthetically enhancing the nose. 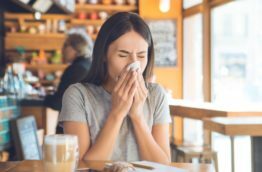 While the surgery is commonly associated with solely aesthetic purposes, the procedure can also correct injuries that affect breathing, like deviated nasal septum or a sinus condition in some cases. The operation is typically performed in an outpatient setting and on average lasts 2-4 hours with no need for an overnight stay.